It is March 1980, and Petra Stevenson has been struggling to complete her thesis in Cambridge. 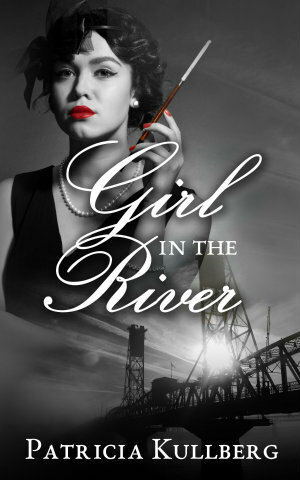 She comes across a biography being written about her grandfather, J. G. Stevenson, when she discovers that this biography less of a biography more of an attempt to scandal monger. There is something in his past that she had been unaware of, something for which he seems to have been desperately apologetic. Desperate to prevent the efforts to tarnish her beloved grandfather’s memory, she starts digging into the past. 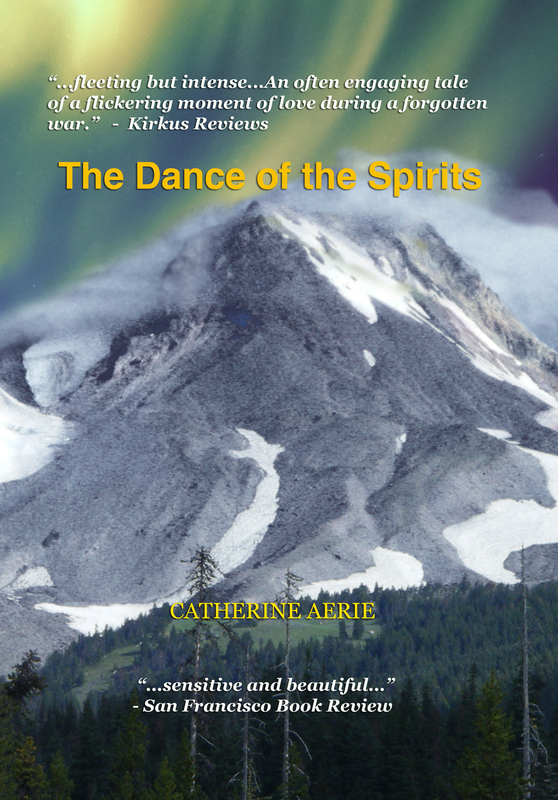 Petra is consumed by the mystery and the need to ensure that her grandfather is not maligned, she refuses to believe that he grandfather would do something dishonorable, but does she really know her grandfather? If he were so honorable, why is there a photograph of her grandfather with two others in front of the Patisserie Clermont? Why did he write ‘Forgive Me’ on the back of the photograph? Petra’s thesis and academic career are all ignored as she goes hunting. In 1909, Guillaume du Frere found himself forced to leave Bordeaux and move to Paris to find a way of making money. That was the only way he could support himself and his widowed mother. With no money for even food, Gui and his friend Nicolas, survived the journey and managed to land themselves a job in the railways. A chance encounter with the daughter of the owner of the famous Patisserie Clermont, gives Gui a glimpse into a life he couldn’t even have dreamt about. He gets a chance to deliver supplies to the bakery. Not only is he captivated by the beautiful Jeanne Clermont, he is equally captivated by the life in the bakery. The art of shaping gorgeous, melt in the mouth delicacies, the fragrances that dominate, the sweet smell of sugar, the heady smell of chocolate, everything seems magical to him. Fate gives him an opportunity to work in the bakery, and he soon discovers that not only is he unusually talented at baking, he thoroughly enjoys it too. To add to his joy, Jeanne is also equally captivated by him. Life is as good as it could get for Gui and Jeanne. As all good things, the good times don’t last and reality and life is about to take over. At some point, Petra’s grandfather’s path crossed Gui and Jeanne. How and what exactly happened is something Petra must find out, if she wants to keep her grandfather’s memory untarnished, convinced as she is that he certainly wasn’t capable of doing things he was being accused of. A beautiful book. The author did a beautiful job detailing Paris of 1909, the lives of Gui and Jeanne, expertly bringing out the differences in their circumstances. 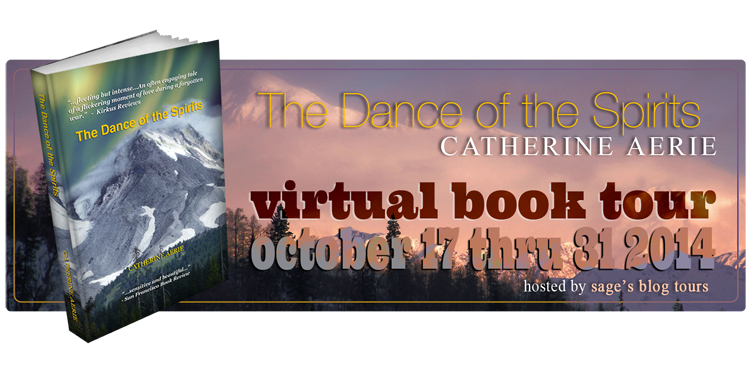 Gui, cold, hungry and desperate, Jeanne, living in the lap of luxury, never having known the lack of anything, and yet desperate in her own way. I particularly like books where the atmosphere, the times that the characters are based in, is brought out so well. Petra’s circumstances and situation was equally well portrayed. One can feel her anguish, the need to prove the biographer wrong, knowing that her grandfather was being maligned just for the sake of publicity, while knowing that she really didn’t have the luxury of time to investigate, knowing that she was being foolhardy to pursue this, when she had been warned of the consequences of her actions on her academic career. The story, for me was as much about Petra as it is about Gui, the confectioner. While on about confectioners, the descriptions of pastry being made, made me want to bake. I had to stop myself from looking up the recipe of religieuse. A beautiful book, one that I could recommend to so many people, those who like a good historical fiction, those who like food writing, or just those who like a good descriptive book with a great plot. A 4.5/5 read for me. On a side note, did you like the cover? I loved it! It was the cover that drew me to the book in the first place. And I’m glad it did too! Thank you Netgalley and the publishers for the ARC of this book. 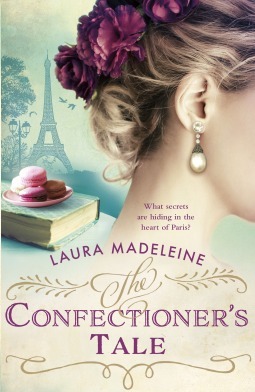 The Confectioner’s Tale is author Laura Madeleine’s debut book. I got offered a chance to review this book, and given that it was historical fiction, I grabbed it. I still find it difficult to believe that there was a time when I used to find history boring. I couldn’t stand it, while in school. It took Philippa Gregory’s books to make a convert of me. Two women, centuries apart, bound together by the secrets of one of the most iconic buildings ever created. Sam Campbell sits by her husband’s hospital bed. Far from home and her children, she must care for Michael who is recovering from a stroke. A man she loves deeply. A man who has been unfaithful to her. Berta di Bernardo, the wife of a rich merchant, sits in her chamber, dressing for a dinner party. A gathering that will change the course of her life and a young master mason, Gerardo, forever. The author has done an interesting take on the mysteries surrounding the Leaning Tower of Pisa, while interweaving it with the life of a modern woman in 1999. Pisa in the 12th Century comes alive in Rix’s words. The details of everyday life at that time is beautifully narrated. You are transported into Berta’s life and city and then just as quickly, you are back in modern-day Pisa as Sam goes about with her day, trying hard to find out more about the elusive architect that designed the monument. The one thing in common in both times being the turmoil of human emotions. The emotions that could change the tide of our lives, our motivator in so many ways. 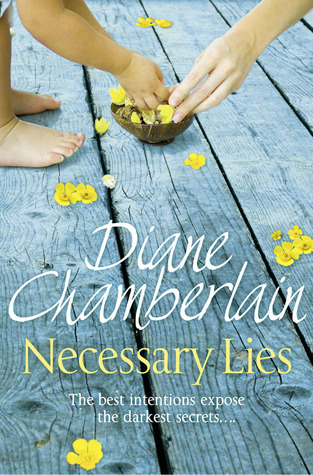 A well researched, well written book about two strong women characters. I especially love reading about strong women in history, especially when the society didn’t allow for it. Berta was one such character. I particularly like the fact that she wasn’t a black and white character. She was admirable, strong and also quite annoying in some ways, or just real, in other words. Sam was a character I could identify with. If I have a complaint about this book, it would be that some ‘complications’ were resolved a bit too easily. A 3.5/5 read for me. 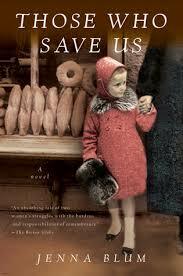 One that I would recommend to those who enjoy historical fiction. Thank you Bookouture for the review copy of this book. began her career at the BBC where she was a presenter on BBC’s Breakfast Time before moving to present a variety of factual programmes. She is now a Communications Consultant, specialising in the charitable sector. 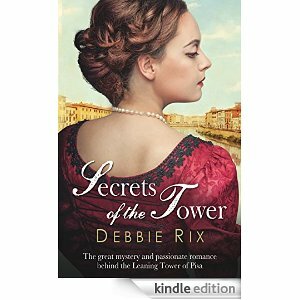 Secrets of the Tower is inspired by Debbie’s own story: her husband, a television producer, had a stroke whilst making a film for Channel 4 about the Leaning Tower of Pisa in the 1990s. The novel also reflects her love of architecture – an interest which is hard-wired into her DNA as both her parents were architects. Many of the historical characters featured are based on real people. This book is available from Amazon (UK). This was one of TGND recoed books. She had recommended this book to me ages ago. I had downloaded it on my Kindle and somehow had completely forgotten about it. It remained at the bottom of my pile of books on my Kindle. Until a couple of weeks ago, when I was browsing through my to-reads on Goodreads and realized that I had forgotten about Nefertiti waiting to be read. The book is through the eyes of Mutnodjmet, Nefertiti’s step sister. Nefertiti and Mutnodjmet belong to one of the most powerful families of Egypt. The family that has provided the queens of Egypt. Their aunt Tiye is the current queen of Egypt and she is on the look out for a wife for her son. Her son Amunhotep, is a wilful prince. They need a wife to rein him in, and change his rather different views, especially his religious views. The prince is very different from his father, and will go to any extent to prove it. The queen wants to choose a wife for him who will do what she wants and change Amunhotep’s views and ideas. Nefertiti’s father convinces his sister, Queen Tiye, that Nefertiti is the perfect person to reign in and control Amunhotep. The fact that Nefertiti is stunningly beautiful and charismatic helps. Soon Nefertiti is married to Amunhotep and Mutnodjmet and her parents move to Thebes. Nefertiti’s family quickly realise that charismatic as she was, Nefertiti was quite unlikely to do anything to anger her husband. Instead of controlling the prince, she encourages him, as she would do anything to prevent him from making his older wife, the ‘Chief Wife’. Wrought by worry and knowing that the only way, she can survive is by not doing anything to earn the pharaoh’s anger or displeasure, Nefertiti does things that change life not just for her, but also for the rest of her country. Encouraged by her support Amunhotep turns against the ancient gods and the powerful priests of temples and sets up a new god, Aten, for Egypt to worship. While Amunhotep’s seemingly boundless generosity did make the people happy, it was at the cost of other important things like keeping Egypt’s borders safe. And the Pharaoh and his Chief wife had made plenty of enemies who were just waiting for a chance to strike. The glamour and power of her life has made Nefertiti blind to the obvious. In Nefertiti’s circle, there was just one person who was honest and yet loyal to her – Mutnodjmet. The book is chronicled through Mutnodjmet’s eyes. 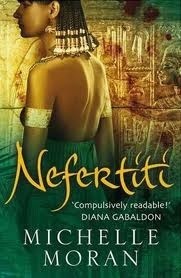 It is not just the story of Nefertiti and her life, but also the story of Egypt as well as Mudnodjmet. Full of intrigue and the games that the powerful play, it is an interesting take on what must have been royal life in those days. The role of religion and how integral a part it was, of life in those times. A tale that brings a queen from long ago, alive for us. A fascinating book I would definitely recommend, if you like historical fiction. As usual, it made me browse the net in an effort to learn a little more about those times, and found out that my daughter knew more about Ancient Egypt than I did! Anyway. A 4/5 from me. Michelle Moran is a native of southern California. She attended Pomona College, then earned a Masters Degree from the Claremont Graduate University. During her six years as a public high school teacher, Michelle used her summers to travel around the world, and it was her experiences as a volunteer on archaeological digs that inspired her to write historical fiction.